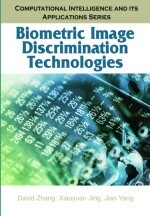 In this chapter, we briefly introduce biometrics image discrimination (BID) technologies. First, we define and describe types of biometrics and biometrics technologies. Then, some applications of biometrics are given. The next section discusses biometrics systems and discrimination technologies, followed by a definition of BID technologies. The history and development of BID technologies is offered, and an overview and taxonomy of appearance-based BID technologies, respectively, is provided. Finally, the last section highlights each chapter of this book.